I was living in Zephyrhills, land of the bottled water. The year was 1998. As the music minister of a local church, I enjoyed rocking the congregation into God's presence at each service. I decided to run home for lunch one day, and hurriedly pulled out in front of a car I thought was coming much more slowly than it was. The driver gave me a friendly honk, informing me of my error, as he tapped his brakes. Stopping at the next traffic light, in my rear view mirror, I saw the kindly driver exiting his vehicle, and stomping toward me as I nervously sat in my vehicle with the window down. There wasn't enough time to put the window up while still looking cool, so I waited for the inevitable. 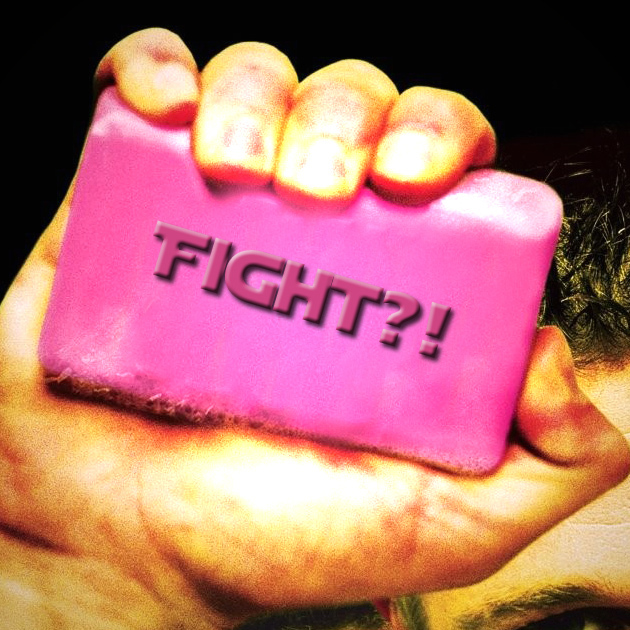 He approached with profanity, followed by a hit to my mouth with his clinched fist. He spun around and returned to his car with the same determination in which he had visited me. As the light turned green, he revved his engine, and shot around me with his left hand proudly waving, "You're number one!" as he passed. My options: 1. Go home and explain to my wife why my lip was bleeding with the shame of having done nothing about it. I blanched at the thought. 2. Follow him to his next stop, and beat the snot out of him. Hey, I'm a Whittington; I could take him! 3. Pray. Pray. Pray. I went with option three and felt the blood that was pounding in my face, the adrenaline coursing through my body, start steering me in an unexpected direction. I did begin to follow him, which was easy since we both continued to go straight. In a few moments he pulled into a fast food joint parking lot, and I followed right behind. As I exited my car, he leapt from his asking me if I wanted, "some more?!" 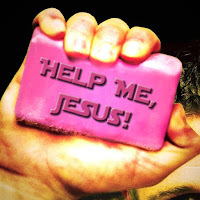 I reached out my right hand, and sheepishly said, "No, sir. I just wanted to apologize for cutting you off like that. I didn't mean to do that." His mouth opened, but no sound came out. His eyes widened, starring at me in disbelief. He glanced to the female passenger in his car, and back to me... and back to her, and to me. The pitch of his voice seemed to climb an octave as he said, "Oh, man. Oh, man... See, my girlfriend is pregnant, and I was worried about her when I saw you pull out like that. Oh, wow. I'm sorry, man." "Don't worry about it," I smiled. "I just wanted to make sure everyone is ok." After another moment of silence, he replied, "Yeah. We're good." Then he blurted, "Wow, I hit you, man! I was... I mean, I'm sorry man!" Without warning, he hugged me. Then he noticed my Christian t-shirt, and his voice returned to its higher register. "Oh, man, you're a Christian!" He looked at his girlfriend. "He's a Christian!" Another hug followed. We spoke for a few moments, and I was able to verbally and nonverbally share the love of God with this guy. I wasn't able to do this because I'm a super-holy saint. Far from it, I have made many mistakes, committed many sins, in thought, word and deed, before that day and since. All the commas in the previous sentence could be my most recent example of mistakes. I was able to do that, only because I took a second to allow God to have his moment with me, and through me. My mom jokes that she remembers only one time I really hit someone in anger - when I was a teenager. I've hit my share of walls, kicked my share of doors. Why haven't I been in any fights that I can remember? Is my memory really that bad, for my age?! I think it's because the Holy Spirit has protected my heart and emotions. God wants me alive and well, for some reason! I encourage you to consider your choices anytime you face an opportunity to get rowdy up in here. Let God be one of those choices. And, always, always, go with that one! Spiritual books are supposed to be ethereal, or other-worldly. They're supposed to express truths that humanity believes, rather than verifiable facts. Or are they? When arriving at the correct location depends on the accuracy of your smartphone's navigation, don't you hope that whatever database it's connected to is updated to the minute? As one who once found myself lost in a bare field while my phone indicated a store location much less rural, I do! The Bible is not just a list of abstract concepts to be pondered. It's not a set of opinions to be tried. 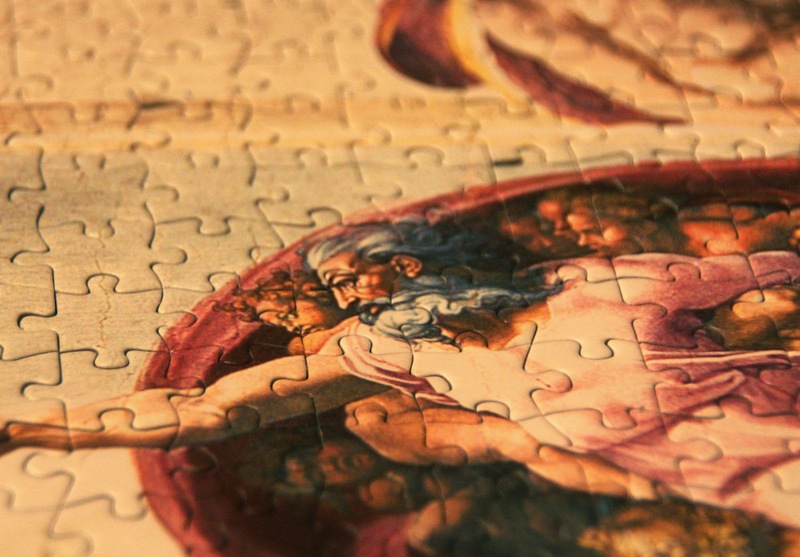 It's a painfully honest look at fallen human nature, and what God did to redeem that nature. It's factual enough to live (and die) by. Consider just one aspect of Luke, for example. Studying the information that scholars are able to verify in the two works he authored, Luke and Acts, shows us that he was an accurate historian. If we can trust his historical accuracy, then we can trust the Jesus he wrote about. Today, in the USA, a mayor is a mayor. Whether you're the Mayor of Alford, FL or the Mayor of New York, NY, you're still called a Mayor. That's amazing! New York has a population threatening to reach 9 million people. Alford, by contrast, is so small if they opened a book store, it would be called "Books-a-Dozen!" The responsibilities may be a bit different, but the chief executive officer for both of these municipalities is called, "Mayor." But when Luke wrote the Gospel According to Luke, and the Acts of the Apostles, the size of an area determined the title of its ruler. Even more confusing was the fact that the title would change as the size of the city changed. Even facing these challenges, everywhere Luke gave the title of a city ruler, or rulers, he got it right! * Sergius Paulus and Gallio - mentioned in Acts 13:7 and 18:12. The Greek for the title is Anthupatoi - usually translated proconsul. * The magistrates at Philippi - mentioned in Acts 16 when Paul was thrown in prison. Luke got it right again! The Greek uses the phrase Polis Grammateus. In Greek his title is Hegemon. Discovering that Luke is a rigorous historian should come as no surprise. 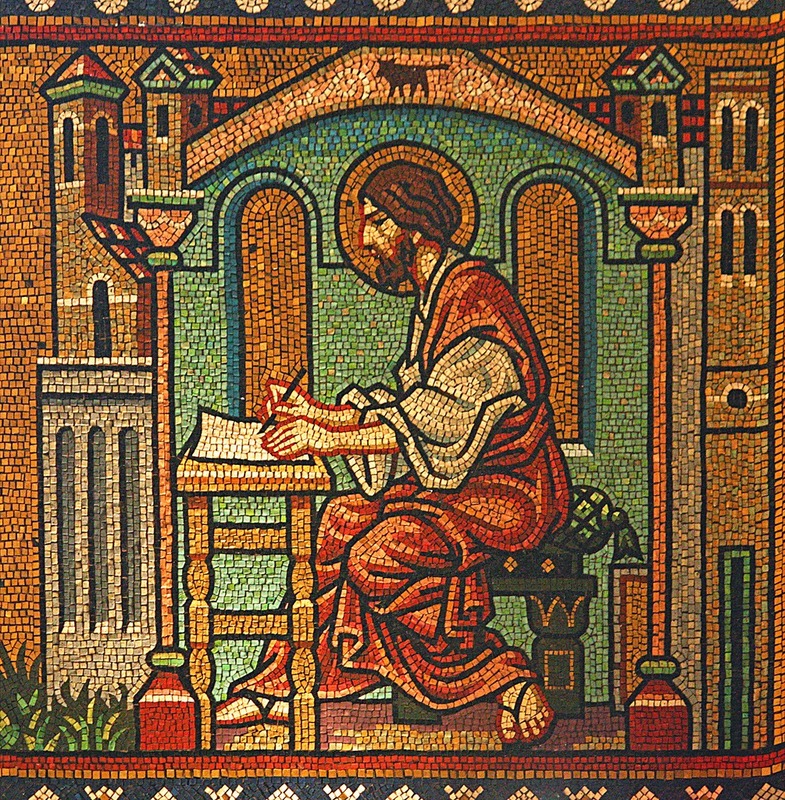 This is the author who started his report with, "...since I myself have carefully investigated everything from the beginning, I too decided to write an orderly account for you, most excellent Theophilus, so that you may know the certainty of the things you have been taught" (Luke 1:3–4). An accurate writer makes a confident reader. If Luke records the names of city rulers correctly, we can also trust the way of salvation and life that he presents. But if it says Jesus wept, slept, ate, healed, died, and rose, you can believe it! So pick up Luke-Acts and start. There's no reason to wait until the New Year! Of course a daily plan for 2015 would be a great way to stay on task. An internet search will reveal several plans. Further info about the Bible and reading it can be found HERE. 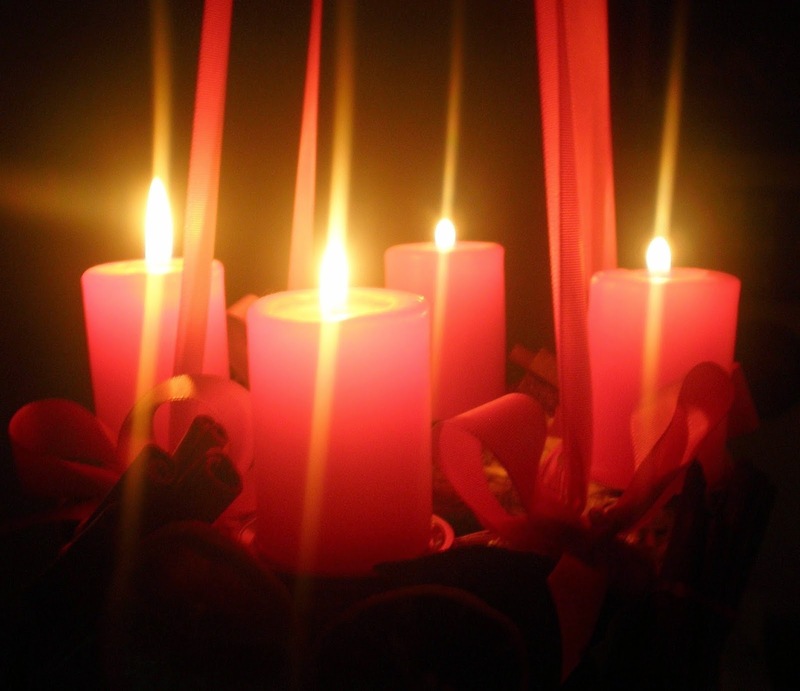 Growing up in a Pentecostal pastor's home in Tampa, FL never exposed me to the season of Advent. Yes, we celebrated Christmas with decorations, carols and church plays. I can remember mama placing three wise men in the living room window seal. Each was made of a used beer bottle, clothed in colorful, flannel cloth with an ornament glued to the opening for his head. They were a gift from a neighbor, as mama would have no use for any beer bottles, ever. Actually, mama said she went out and found those bottles, so I stand corrected! Our tree was wrapped with the larger lightbulbs of red, green, yellow, blue and so on that were popular in the 70's. Each bulb glowed like a piece of back-lit candy. As a toddler, I'm surprised I never tried to taste one. Although, I did touch one or two over the years. These memories are now mainly found in faded, yellowish pictures at my parent's house. Little did I know that those weeks of Decembers I was longing to open presents, learning parts for plays and lyrics for songs, I was actually wandering (as I wondered) through a time that had been designated sacred for some 1,500 years: Advent. From the Latin, adventus, "coming," Advent has a two-fold meaning to millions of Christians worldwide. First it celebrates the initial arrival of Jesus about 2,000 years ago. Secondly, as we think about the first time Jesus came to earth, we keep before us his future coming in power and glory, to make all right with the world. As I grew older I was exposed to a bigger picture of the faith. I learned the beauty of such works as the Book of Common Prayer. I discovered that even one of our Pentecostal Hymnbooks contained responsive readings. Most churches in our denomination passed these up for a more spontaneous worship style. And I learned about Advent. Advent starts pointing forward to Christmas, to the coming of the Christ of Christmas, as early as around December 30th. This refocuses our anticipation away from commercial Christmas, and back on the Baby who would grow up and save us all! I encourage you participate in this Advent season. Find some of your favorite Christmas carols during these next three weeks. Sit down with the words. Read them and think about what they mean theologically, and to your heart. And then celebrate the coming of the once before and soon returning Savior! 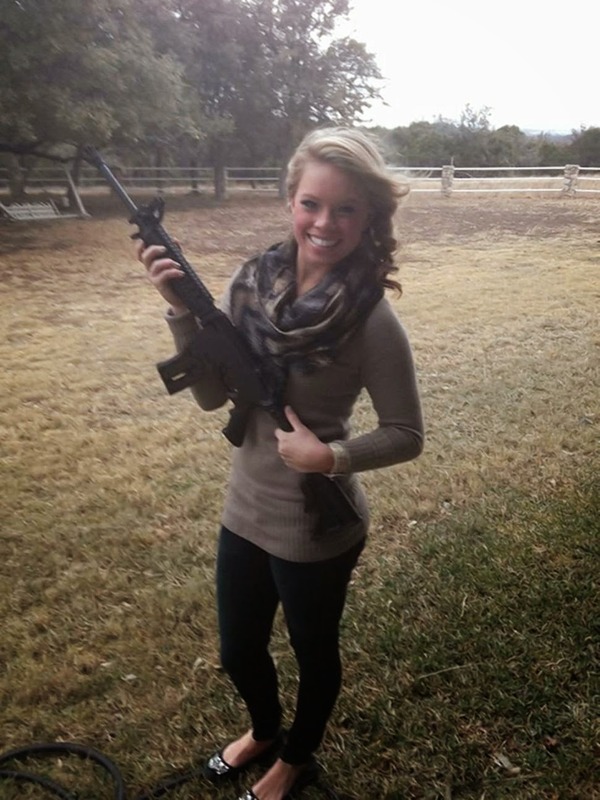 Kendall Jones has made quite a stir over the past few days on news outlets and blogs around the world. The 19 year old Texas cheerleader hunts big game in Africa much like overly romanticized safaris of years gone by. Although she speaks of her contribution to conservation by sometimes tranquilizing and taking DNA samples from endangered species, many animal lovers are infuriated by her hunting activities and Ms. Jones has even received death threats. I'm not going to give a public opinion denouncing or endorsing the young huntress. I am going to point out a potential inconsistency: There are those who make a moral judgement about her without a world view that allows for such morality. For example, some have left online comments stating that she should get "hunted down herself" because they consider her actions murder. Others with a less extreme view still express outrage over her actions, calling them criminal. But a quick search for profile information about such social media users reveals that some of them do not believe in the concept of God or absolute morality. This is where the inconsistency lies. As a Christian, I can discuss with my brothers and sisters the good, the bad, and the ugly about hunting African big game or any other kind. I can pull biblical passages about God creating these majestic creatures (Genesis 1:24) or how righteousness is demonstrated by caring for ones animals (Proverbs 12:10). Another Christian could disagree with my use of these verses with both of us still under the assumption of absolute morality. We could together argue, discuss and discover the moral aspects of hunting for food, for sport etc. But when someone who doesn't believe in God expresses disgust over any kind of hunting, upon what morality can such an opinion possibly be based? A primate with a gun killed a large cat without one. What morality or lack is that? This battle of mammal against mammal would be nothing more than survival of the fittest. Some would appeal to morality for the common good. I think a review of Machiavelli or Sartre would show the naivety of such a view. There are plenty of people who choose to live life for "yours truly." I've certainly been guilty of even doing the "right" thing though for wrong and selfish reasons. Another thought for another discussion is, who gets to decide what is the common good? A more dangerous argument from the non theist might be what Tim Keller calls morality by consensus. One example is the fact that Western society came to a consensus that the slave trade was wrong which led to abolition. The problem is that consensus-morality implies that slavery is only wrong in the geographical or historical places and times in which the majority decide it's wrong. If someone saw the belief that slavery is wrong starting to disintegrate in their culture, and they continued condemning the slave trade, then they would have to concede that there is a higher reason for their morality besides consensus. Whether faced with big game hunting, or issues that more of us would agree are wrong such as slavery, genocide or displacement of indigenous peoples, we have to ask ourselves where are we getting our idea that any of it is wrong at all. If there is no God and therefore no moral absolute then the strong eat the weak and that's just the way it is. The fittest or smartest survives a little longer in a heartless, soulless world. And my answer to any objections would be, "That's just your opinion." The Good News is that God, through Jesus Christ, gives us a morality unlike anything we could have thought up. If you are a Christian you can rest assured that the New Testament virtues are right, with or without public approval. More so, you can rest in the power of God's Holy Spirit, to actually live out these virtues. Where Christianity has grown, universities, hospitals and orphanages have sprung up bringing literacy, healing and charity, even before there was consensus for such morality. I encourage you to ask yourself not only what you believe, but why you believe it. Can you say your morality stands firm on a solid foundation of absolute truth? Or, for all your desire to see cruelty cease and justice triumph, are you forced to say that it's just your opinion?